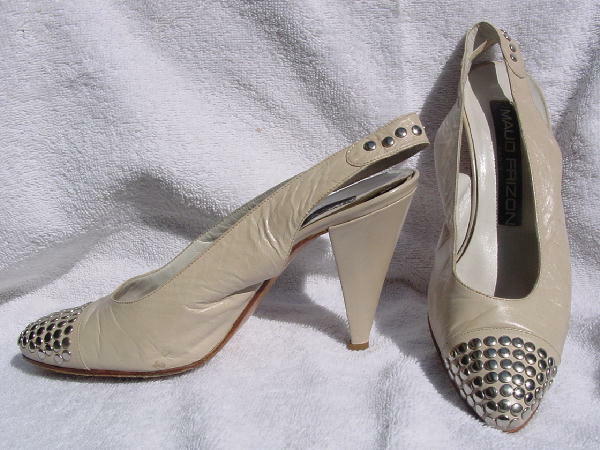 These vintage dark bone soft leather closed toe slingbacks have rows of silver-tone round ornaments on the toe cap and along the back heel strap. They are by Maud Frizon Paris and were made in Italy. The vamps have wrinkles and because the leather is so soft, there are wrinkles on other parts of the shoes. 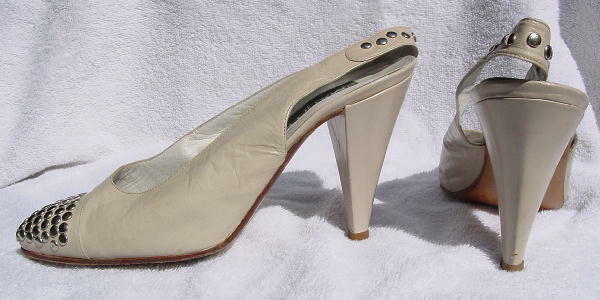 The inner ball part of the right shoe near the sole has a dark spot and the heel has a darker line and a small ding near the bottom. The shoes are stamped size 36.